Bringing strength to life means how we use our workouts to make our life better in the real world. For many of us, we use fitness to help us do what we love out of the gym better. Many want to go running, play weekend sports, or just enjoy time with their kids. This new DVRT program is made for you! 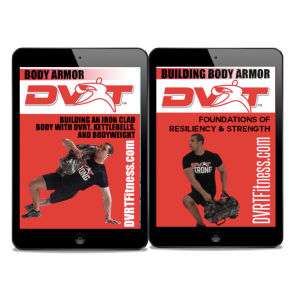 These 47 workouts were created by DVRT Master, Cory Cripe, to address the needs of people that want fitness to go beyond the gym! Three modules to give you the best of movement strength to make you look better, become more injury resilient, and perform your best no matter what it is you love to do! Each program has detailed video links taking you through how to do each and every exercise with precision and challenge that provides results!